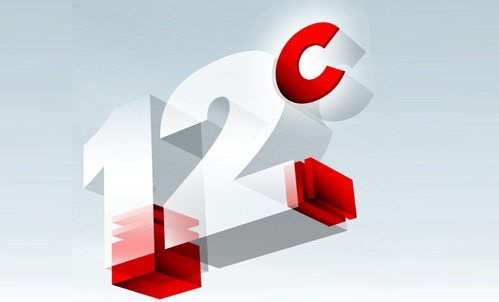 Como muchos ya saben , ahora en Enero del 2015 se acabo el soporte Premier de la Version 11.2 de la BD de Oracle, así que es el momento de pensar en actualizar tus BDs a la ultima version , que es la 12.1.0.2 . Aquí no voy a entrar a detalle de como instalar los binarios de Oracle 12c , eso lo puedes tomar del post de RAC Attack . "Execute olspreupgrade.sql script prior to upgrade." to SYS.AUD$ prior to upgrading..
will be moved during the upgrade. large number of rows to be moved. Starting with Oracle Database 12c, OLAP Catalog component is desupported. Database is using a time zone file older than version 18.
have their own upgrade scripts, are deprecated, or obsolete. 1 ERROR exist that must be addressed prior to performing your upgrade. 3 INFORMATIONAL messages that should be reviewed prior to your upgrade. oracle@localhost.localdomain [RENE] /home/oracle oracle $ sqlplus / as sysdba SQL*Plus: Release 11.2.0.4.0 Production on Tue Feb 10 19:41:51 2015 Copyright (c) 1982, 2013, Oracle. All rights reserved. Connected to: Oracle Database 11g Enterprise Edition Release 11.2.0.4.0 - 64bit Production With the Partitioning, Oracle Label Security, OLAP, Data Mining and Real Application Testing options SQL> @/u01/app/oracle/product/12.1.0.2/olap/admin/catnoamd.sql ￼ Synonym dropped. ... Synonym dropped. PL/SQL procedure successfully completed. 1 row deleted. SQL> commit; Commit complete. SQL> @/u01/app/oracle/product/12.1.0.2/rdbms/admin/olspreupgrade.sql Function created. No errors. Function created. No errors. Function created. No errors. 2015-02-10 19:42:17 ******* BEGINNING OLS PRE RENEADE SCRIPT ******** The amount of FREE space required = 131072 Bytes Free space available on SYSTEM tablespace= 33798078464 Bytes 2015-02-10 19:42:17 ******** PROCEEDING WITH OLS PRE RENEADE ******* Audit records successfully moved to SYS.PREUPG_AUD$ PL/SQL procedure successfully completed. No errors. Total number of rows in SYS.PREUPG_AUD$: 38 2015-02-10 19:42:18 ******* FINISHING OLS PRE RENEADE SCRIPT ******** PL/SQL procedure successfully completed. SQL> create pfile from spfile; File created. SQL> alter system set processes=300 scope=spfile; System altered. SQL> alter system set COMPATIBLE='12.1.0' scope=spfile; System altered. SQL> EXECUTE dbms_stats.gather_dictionary_stats; PL/SQL procedure successfully completed. SQL> @/u01/app/oracle/cfgtoollogs/RENE/preupgrade/preupgrade_fixups.sql Pre-Upgrade Fixup Script Generated on 2015-02-10 19:39:30 Version: 12.1.0.2 Build: 006 Beginning Pre-Upgrade Fixups... Executing in container RENE ... ********************************************************************** [Pre-Upgrade Recommendations] ********************************************************************** ********************************************************************** Check Tag: OLS_SYS_MOVE Check Summary: Check if SYSTEM.AUD$ needs to move to SYS.AUD$ before upgrade Fix Summary: Execute olspreupgrade.sql script prior to upgrade. ********************************************************************** Fixup Returned Information: ERROR: --> SYSTEM.AUD$ (audit records) Move Oracle requires that records in the audit table SYSTEM.AUD$ be moved to SYS.AUD$ prior to upgrading.. The Database has 0 rows in SYSTEM.AUD$ which will be moved during the upgrade. The downtime during the upgrade will be affected if there are a large number of rows to be moved. The audit data can be moved manually prior to the upgrade by using the script: rdbms/admin/olspreupgrade.sql which is part of the Oracle Database 12c software. Please refer to the Label Security Administrator guide or the Database Upgrade guide. ********************************************************************** ... ***************************************** ********* Dictionary Statistics ********* ***************************************** Please gather dictionary statistics 24 hours prior to upgrading the database. To gather dictionary statistics execute the following command while connected as SYSDBA: EXECUTE dbms_stats.gather_dictionary_stats; ^^^ MANUAL ACTION SUGGESTED ^^^ ************************************************** ************* Fixup Summary ************ 2 fixup routines returned INFORMATIONAL text that should be reviewed. 1 ERROR LEVEL check returned INFORMATION that must be acted on prior to upgrade. ************************************************************ ====>> USER ACTION REQUIRED <<==== ************************************************************ 1) Check Tag: OLS_SYS_MOVE failed. Check Summary: Check if SYSTEM.AUD$ needs to move to SYS.AUD$ before upgrade Fixup Summary: "Execute olspreupgrade.sql script prior to upgrade." ^^^ MANUAL ACTION REQUIRED ^^^ ************************************************** You MUST resolve the above error prior to upgrade ************************************************** **************** Pre-Upgrade Fixup Script Complete ********************* PL/SQL procedure successfully completed. Fix Summary: Execute olspreupgrade.sql script prior to upgrade. 2 fixup routines returned INFORMATIONAL text that should be reviewed. 1 ERROR LEVEL check returned INFORMATION that must be acted on prior to upgrade. 1) Check Tag: OLS_SYS_MOVE failed. SQL> @/u01/app/oracle/cfgtoollogs/RENE/preupgrade/postupgrade_fixups.sql Post Upgrade Fixup Script Generated on 2015-02-10 19:39:30 Version: 12.1.0.2 Build: 006 Beginning Post-Upgrade Fixups... ********************************************************************** Check Tag: OLD_TIME_ZONES_EXIST Check Summary: Check for use of older timezone data file Fix Summary: Update the timezone using the DBMS_DST package after upgrade is complete. ********************************************************************** Fixup Returned Information: INFORMATION: --> Older Timezone in use Database is using a time zone file older than version 18. After the upgrade, it is recommended that DBMS_DST package be used to upgrade the 12.1.0.2.0 database time zone version to the latest version which comes with the new release. Please refer to My Oracle Support note number 977512.1 for details. ********************************************************************** ********************************************************************** Check Tag: NOT_UPG_BY_STD_RENED Check Summary: Identify existing components that will NOT be upgraded Fix Summary: This fixup does not perform any action. ********************************************************************** Fixup Returned Information: This fixup does not perform any action. If you want to upgrade those other components, you must do so manually. ********************************************************************** ********************************************************************** [Post-Upgrade Recommendations] ********************************************************************** ***************************************** ******** Fixed Object Statistics ******** ***************************************** Please create stats on fixed objects two weeks after the upgrade using the command: EXECUTE DBMS_STATS.GATHER_FIXED_OBJECTS_STATS; ^^^ MANUAL ACTION SUGGESTED ^^^ ************************************************** ************* Fixup Summary ************ 2 fixup routines generated INFORMATIONAL messages that should be reviewed. *************** Post Upgrade Fixup Script Complete ******************** PL/SQL procedure successfully completed. Fix Summary: Update the timezone using the DBMS_DST package after upgrade is complete. Fix Summary: This fixup does not perform any action. This fixup does not perform any action. If you want to upgrade those other components, you must do so manually. 2 fixup routines generated INFORMATIONAL messages that should be reviewed. Espero que este pequeño post te ayude en tu próxima actualización de tu Base de Datos y si tienes alguna pregunta o duda, hazmelo saber.